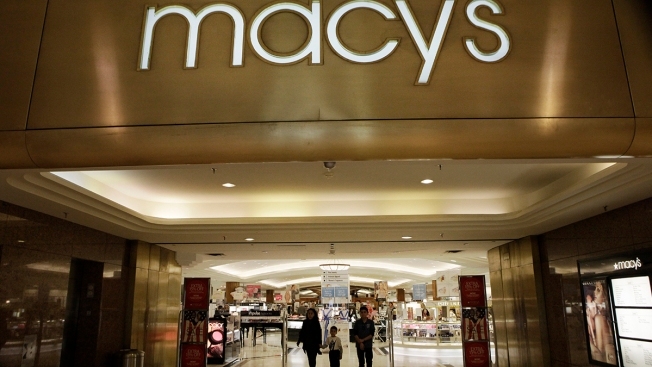 In this Feb. 20, 2011 photo, the outside of a Macy's store is shown in Dallas. The Dow Jones Industrial Average dropped 136 points, while the S&P 500 declined 0.8 percent. The Nasdaq Composite pulled back 1.2 percent. The Dow and Nasdaq briefly broke below their 50-day moving averages.